Josef “Joschko” Fözö was born on 7 November 1912 at Wien in Austria. He joined the Austrian Luftstreitkräfte before transferring to the Luftwaffe following Germany’s annexation of Austria in 1938. From summer 1938 until March 1939, Fözö flew with 3. Staffel of J 88, operating in support of the Nationalist cause during the Spanish Civil War. He claimed three victories in 147 missions during that conflict.  He was awarded the Spanienkreuz in Gold mit Schwertern for his achievements during that conflict. On his return to Germany, Oberleutnant Fözö was appointed Staffelkapitän of 10./JG 72 operating Ar 68 biplane fighters. The unit was based at Böblingen at the outbreak of World War 2. Fözö was appointed Staffelkapitän of 2./JG 71 on 16 July 1939. In October 1939, 2./JG 71 was redesignated 4./JG 51. Fözö recorded his first victory of World War 2 on 16 April 1940 when he shot down a tethered artillery-spotting balloon near Breisach during the French campaign. During the Battle of Britain, Fözö was particularly successful. Fözö was appointed Gruppenkommandeur of II./JG 51 on 21 February 1941. By the time Fözö participated in the invasion of Russia, he had at least 15 victories to his credit. 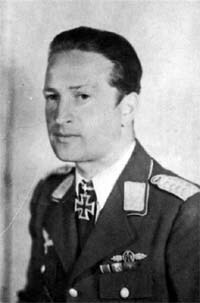 Hauptmann Fözö was awarded the Ritterkreuz on 2 July for 22 victories. He recorded his 24th victory on 11 July. However, he was badly injured in a take-off accident at Stava Bychow the same day in Bf 109 F-2 (W.Nr. 12 836) “Black <<-“ and was hospitalised for a lengthy period. Fözö returned to combat duty as Gruppenkommandeur of I./JG 51, based on the Eastern front, on 3 May 1942. On 31 May, he was again badly injured in a landing accident at Tubelja in Bf 109 F-2 (W.Nr. 8086). On recovery from his injuries, Fözö was appointed Kommodore of JG 108 on 4 June 1944. He led the unit until 10 January 1945. Fözö died on 4 March 1979 at Wien. “Joschko” Fözö was credited with 27 victories. He recorded three victories during the Spanish Civil War, 15 over the Western front and nine over the Eastern front.